After making fans wait with bated breaths, the makers of ‘Saamy 2’ have finally unveiled the first look of the much-awaited film. The motion poster shows Vikram sitting on a milestone, patiently waiting for his opponent. 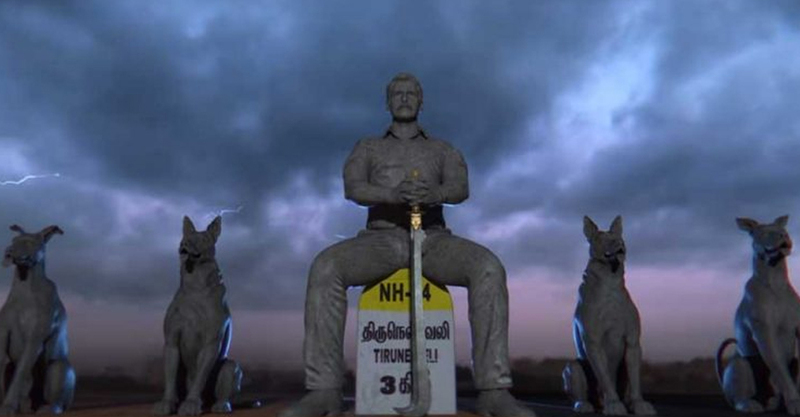 Like the first part, the sequel, too, is set in Tirunelveli. Although, it looks like Vikram, who plays the title role, will head to places like New Delhi as well. The makers also revealed that the theatrical trailer of ‘Saamy 2’ will be released on May 26. A racy entertainer, the sequel will see Vikram returning as the foul-mouthed police officer Aarusaamy. The film is tipped to be a revenge story that takes place years after the death of Perumal Pichai (Kota Srinivasa Rao). ‘Saamy 2’ will have the National Award-winning actor Bobby Simha playing the main antagonist. Reportedly, he will be seen as Perumal Pichai’s son Ravana Pichai. Vikram has another project ‘Dhruva Natchathiram’ coming out this year.